One Piece Episode 870 titled “Wake Up! The Color of Observation Able to Top The Strongest!” is finally released on Sunday, January 27, 2018. 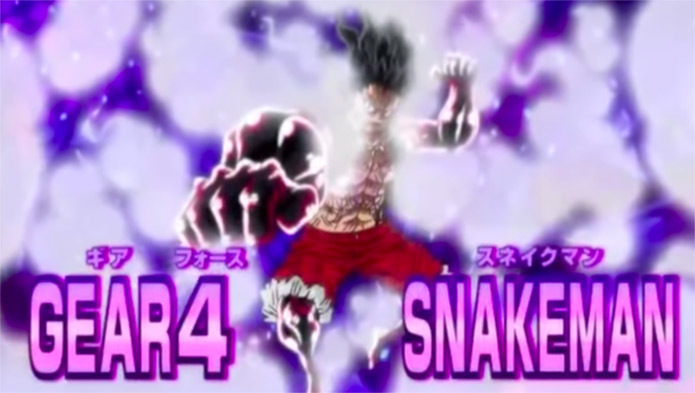 In this episode, Luffy shows off his new form called Snake Man – a new mode in Gear 4th. Snake Man uses super fast attack that can catch up with Katakuri’s ability. Some of the notable attacks are called Black Mamba and King Cobra. Watch the highlights of One Piece Episode 870 on the video below. What can you say about Luffy’s new form, share your thoughts and views on the comment section below.